Sliding wardrobes are in vogue and have taken over the wardrobe production by storm. They offer a wide range of functions and save you a great deal of space compared to a conventional hinged wardrobe. It not only helps you trim down clutter but also helps in a smart way of getting organised. Unlike hinged wardrobes that open out and wastes a lot of standing space, a sliding wardrobe gives you the advantage of using up a maximum amount for space to move about freely. It also gives you easy access to your things in one go without opening and closing many doors. 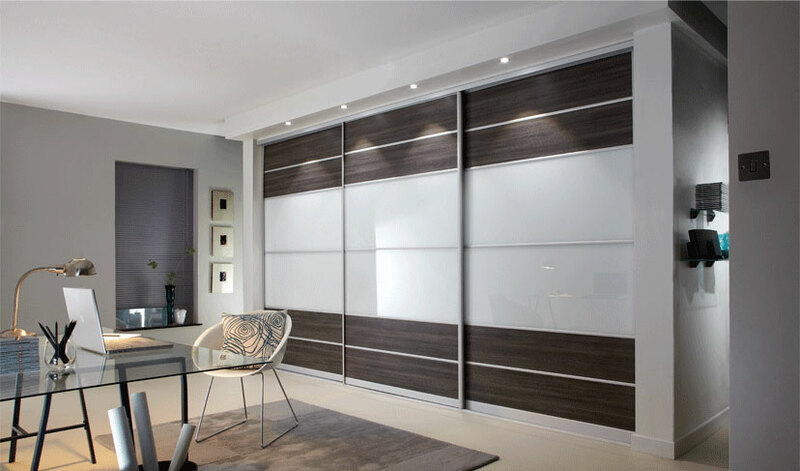 Sliding door wardrobes can be customised as per your needs and wants. Sliding wardrobes come in a wide variety of style and colour options to suit your home decor. You can mix and match your linen and curtains to your wardrobe and give your home a superior look. You can also upgrade and personalise it by using decorative mirrors, coloured glass, shaded or partly frosted mirrors, styling wood. Get creative and style it up your way. Sliding wardrobes not necessary be just in your bedroom. It can be made use of even in living rooms kitchens and even offices giving you more room to fit in other furniture important to you. Sliding wardrobe with mirror finish can be used both as a wardrobe as well as a dressing mirror. In an office it can be used as a multipurpose storage system to store office files and supplies in a more stylish way rather than the old boring conventional office cupboards, uplifting your mood at work. Looking for more space, its time you consider upgrading to a sliding wardrobe. Capital Bedrooms are always happy to help.